The Jungle is an immersive play that has transferred to the Playhouse after a successful run at The Young Vic. It is the story of the refugee encampment of Calais, from its birth to the evacuation in October 2016. Playhouse theatre has been completely transformed and it is quite a surprise to walk into it and find that all the chairs have been removed to recreate the Afghan restaurant that is the centre of the action of the play. Audiences sit on wooden benches, and are offered chai tea and bread to make the experience more real. It is a sad story, the one of the Jungle, with many documented abuses by police against the refugees. It is a story of dignity, death, identity, solidarity and civil rights. Directors Stephen Daldry and Justin Martin know how to keep the energy of the play always high and lighten the story with funny jokes. There is a strong sense of community, thanks also to the music and songs. There are moments where I felt like the show goes in some directions just to elicit an emotional response from the audience, like the accounts of the physical and emotional abuses that the refugees experienced in their own countries and in their endless trip to Europe, or the use of some music. Nerveless, The jungle is a thought provoking play with a very talented cast that will let you feel like a member of the camp and will perhaps change your perception of the refugee crisis. 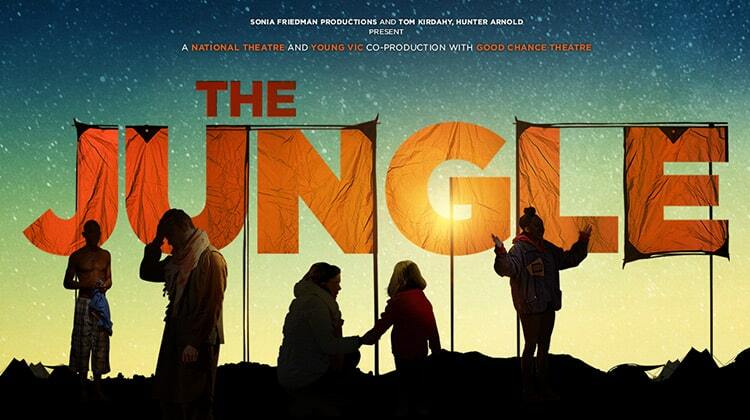 The Jungle is at the Playhouse Theatre until November 3rd.